There will be spoilers from the first season of The Walking Dead in this review, so if you haven't played/finished it yet, it's best not to read on. The Walking Dead Season Two is finally here! 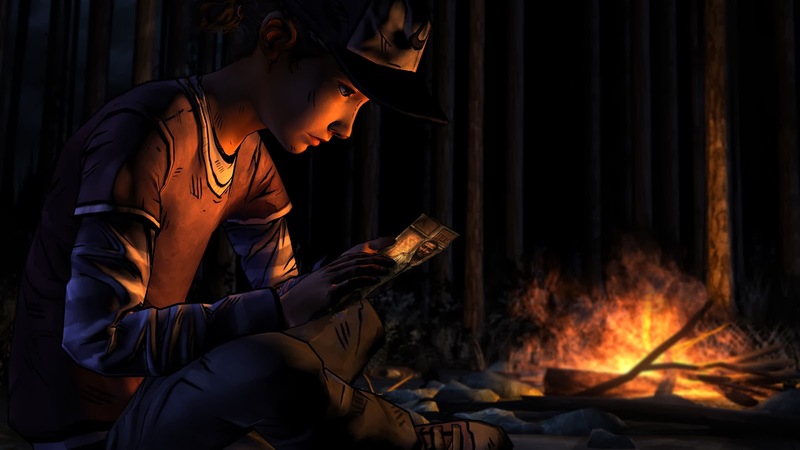 Telltale's award winning first season, based on the comic books by Robert Kirkman, finished just over a year ago, and we've all been eagerly waiting to continue the story of Clementine. The last time we saw her and Lee, they were in the worst possible situation that they could be in, and Clementine had to come to terms with something that nobody should ever have to; she had to kill her friend, her guardian, her Lee. It was a heartbreaking ending to an incredibly emotional story. We lost characters that we invested so much time and emotion into, we had to make impossible choices and face insurmountable odds, and then we lost Lee. Lee, who would have given the world to protect Clementine, ended up doing just that. And that's where Season Two picks up. You're just a few minutes in to "All That Remains", and there's a huge life changing event, for everyone involved. You've barely started and already you can't quite believe what you've just seen. What started as a routine stop at a restroom became anything but that, and it's clear that this time, Telltale are pulling no punches. 16 months later, when the majority of this episode takes place, Clementine is a little more grown up. She looks older, and acts it; she's cynical, even at her young age, but who can blame her? Anyone in the same situation would be exactly the same. After finding a few reminders of the friends she has lost, a simple search for firewood turns into the most intense, nerve-shredding sequence that the series has seen so far. Your heart will race, you'll shout at the TV and you'll need a few moments to compose yourself afterwards. It's absolutely terrifying! The first season didn't have anything quite as exciting as this, and you can also see how much they have improved the engine. There were quite a lot of distracting glitches in season one. After picking a response, or when transitioning from gameplay to cut-scene, you'd get small frame-rate hiccups. They were quite regular too, and damn annoying, but no longer is this a problem. It now runs incredibly smoothly, with no little hiccups at all, and it's so much more immersive. The animations are better, the graphics sharper and the overall polish on the game is top quality. After a few more harrowing events, Clementine, on the verge of collapsing, is rescued by two survivors, who take her back to their camp and the rest of their group. When Clementine awakens, she finds herself at the heart of a heated discussion, and for once, you discover what it feels like to be on the outside. In the first season, it was always a case of you either persuading your group to let new people in, or dissuading them from doing just that, and suddenly the roles are reversed. 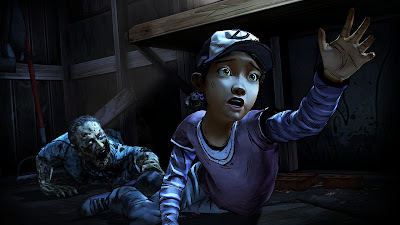 There's little Clem can do, as she's just a child, and why would they believe her anyway? There's a huge feeling of helplessness as they decide on your temporary fate. Instead of controlling Lee, a powerful adult with natural leadership traits, you're now a young girl, lost in a zombie apocalypse with nobody to turn to. She's powerless in this situation, and literally has to do what they tell her to. It shows the quality of the writing, that they can show both sides of the coin for so many characters, and the writers deserve all the credit they get.